Ease of interstate access via I-65, I-59, I-459, I-20 and I-22 makes the Birmingham region an attractive scenic route in all directions as you travel through the deep south. 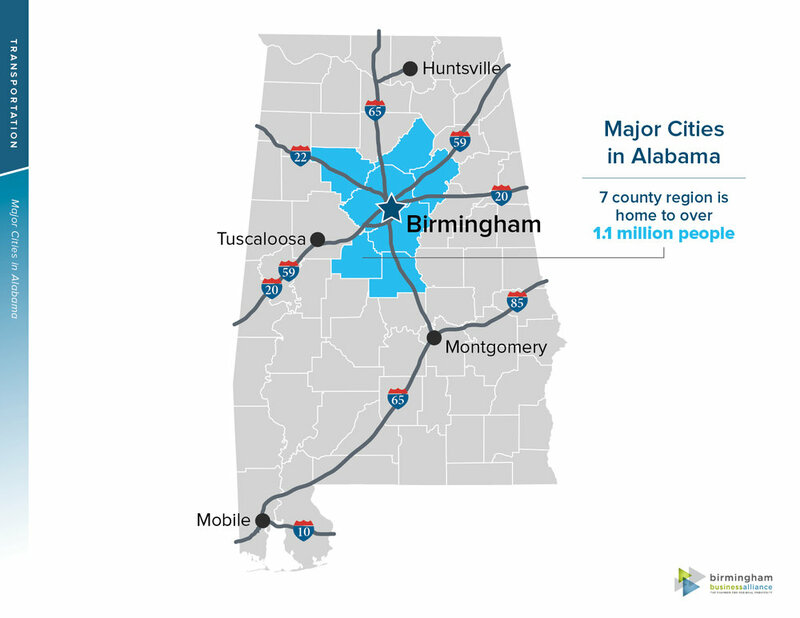 The Birmingham Business Alliance works with several organizations, including the Regional Planning Commission of Greater Birmingham, to assist in long-range planning and continued development of the region’s transportation network. If local public transportation is what you are looking for, daily fixed routes are available through the Birmingham Jefferson County Transit Authority. We are also home to Alabama’s largest airport serving the Greater Birmingham area and surrounding southeastern cities. 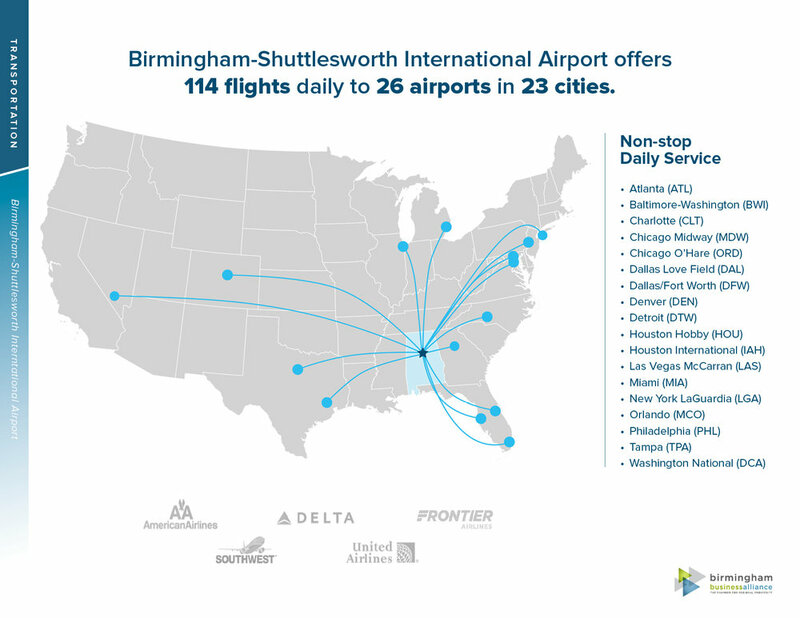 The Birmingham-Shuttlesworth International Airport offers 130 daily flights to 48 airports in 45 cities throughout the U.S. 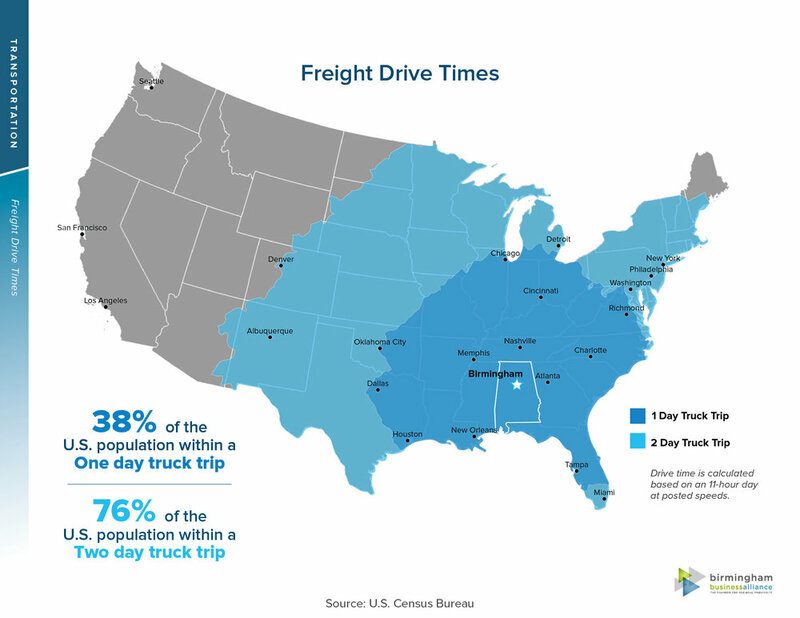 The Birmingham region has rail transportation for both passenger and freight cargo. There are daily Amtrak stops connecting you to most major cities in the U.S. Metropolitan Birmingham has three rail hubs: Norfolk Southern, CSX and BSNF.